Marijuana plants are displayed at a Berkeley, California, dispensary Wednesday, Feb. 14, 2018. Maine lawmakers are considering lowering the number of personal-use marijuana plants that can be grown from six to three. Supporters of the proposal under consideration say it would give municipalities more flexibility to craft their own home-grow rules. They also say that the larger limit of six plants creates extra supply, which could potentially find its way onto the black market, especially if out-of-state traffickers pay Maine landowners to cultivate on their property. They point to the example of Colorado, which originally allowed residents to grow up to 99 plants, but recently slashed it to 12 due to concerns about the black market. Independent state Rep. Kent Ackley of Monmouth says leaving the existing six plant limit in Maine could undercut the yet-to-be launched recreational market. “If we don’t, we don’t have a regulated marketplace where we can control the supply to a reasonable, rational way, and prevent the distribution of these products to folks — young folks — who shouldn’t have access to it,” he says. 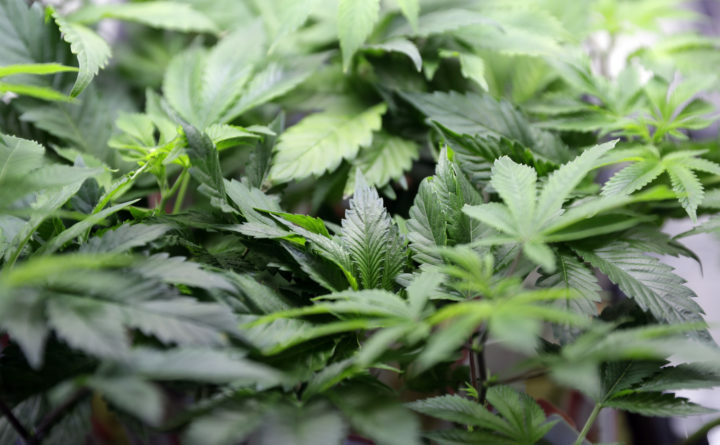 But Democratic state Rep. Craig Hickman of Winthrop says the proposed change could violate the committee’s vow last year to leave home cultivation rules alone. He also challenges assertions that the current limit is creating problems, such as the diversion of legally grown cannabis to the black market. “The problems that we say are happening are still in the atmosphere to me. I haven’t seen anyone sit there and document the problem and say, ‘Give me this authority to limit home-grow on parcels and tracts of land in the state of Maine,’” he says. Hickman also questions the idea that six plants produce more cannabis than a single person could consume. He says a grower might have a good year and not need to cultivate any more plants for a couple of years after that. Or he says they might have a bad growing season and get a poor yield from the six plants. The majority of the committee voted in support of the proposal. The vote is one of several incremental steps taken by a panel that is attempting to draft an omnibus bill of rules for the recreational market. The larger bill could be voted out of committee by the end of the week, after which time it will go to the full Legislature for consideration. The committee passed an overhaul of cannabis rules last fall, but it failed to become law. Some believe the current attempt also faces long odds — and its prospect for passage could worsen if legal marijuana advocates organize against the proposal.